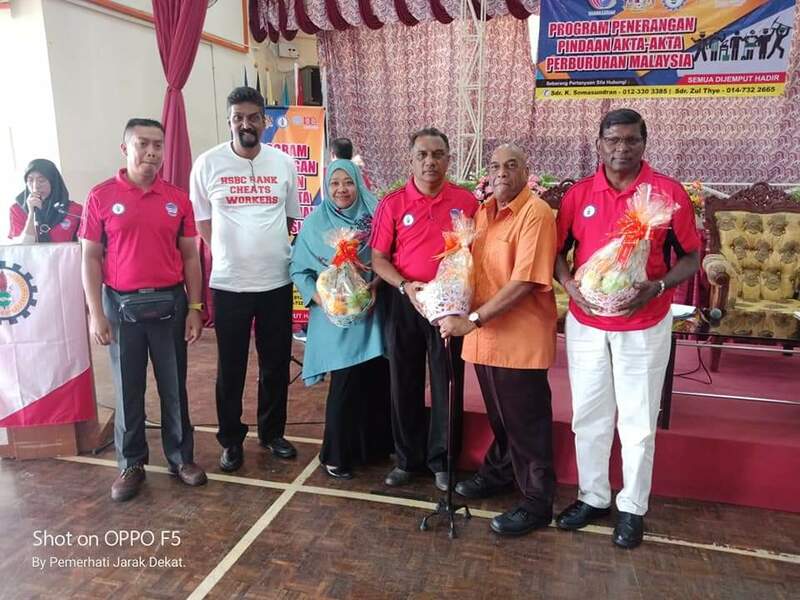 While MTUC’s main officers were Bro J Solomon, MTUC Secretary-General, Bro Jey Kumar, MTUC Vice President, Bro Kamal, Acting Youth Chairman, Bro K Soma, MTUC’s Assistant Secretary of Education, Bro Kesevan, Vice Chairman of MTUC’s Division Melaka, several MTUC leaders from the task force and nearly 65 union members from various sectors in the state of Melaka participated. 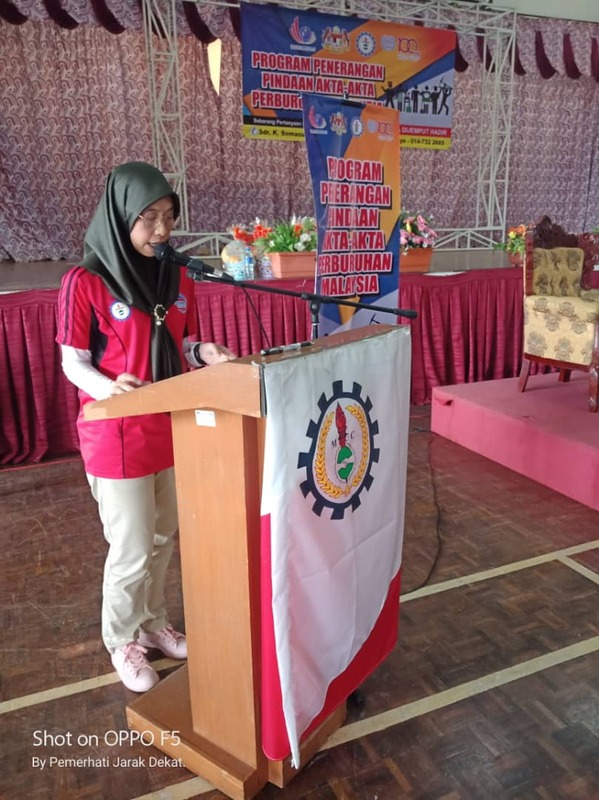 The program was opened with a welcome speech from the master of ceremony, Sis Maimunah and followed by reciting of doa by Sdra Khairul Azha, committee member of KPPIT. 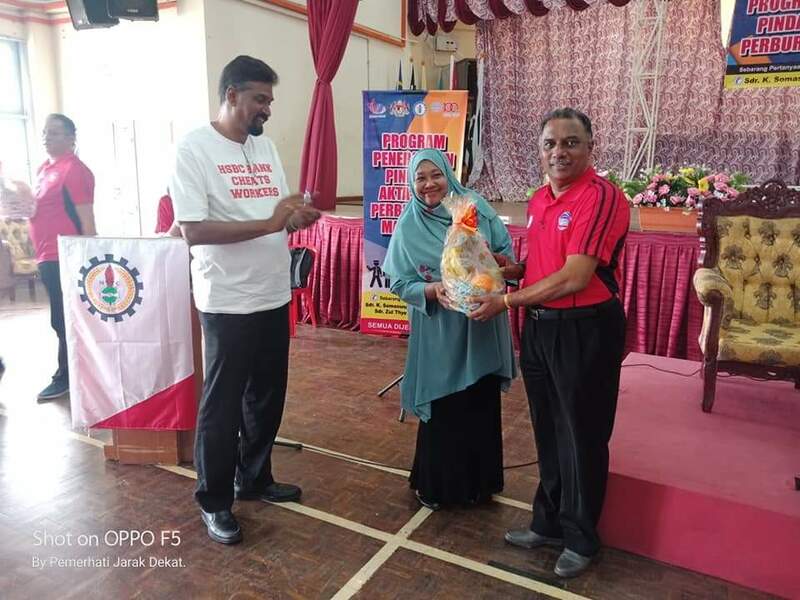 Sdra Kesevan, Vice Chairman OF MTUC Melaka division welcomed the attendance of all participants in the program. 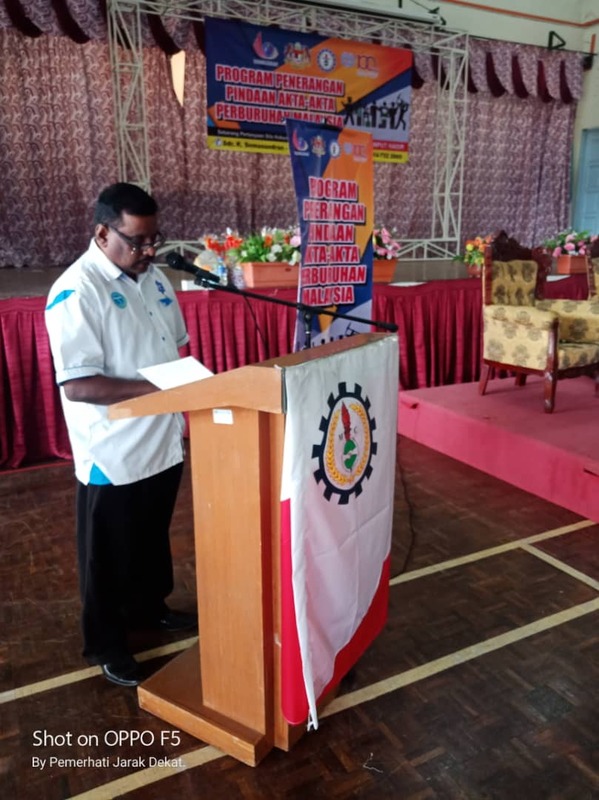 Bro Jey Kumar, MTUC’s Vice President gave a speech to all attendees. He congratulated and thanked all those present. 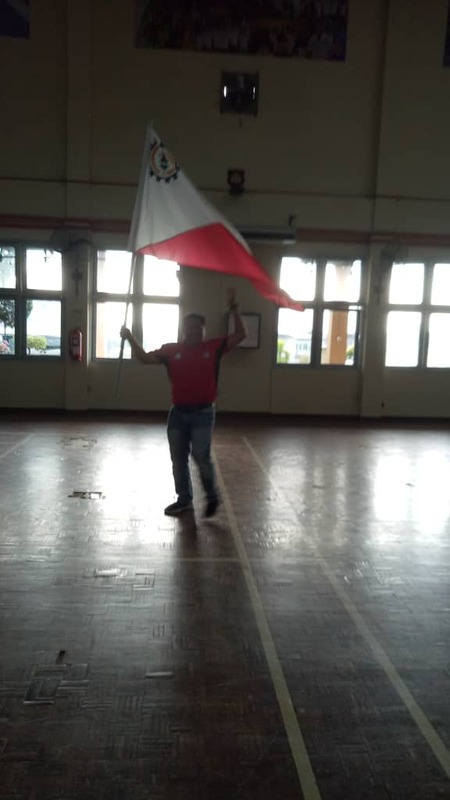 He reminded to all members of the union that was present the importance of the labour law reform process and should be known to each member of the union. 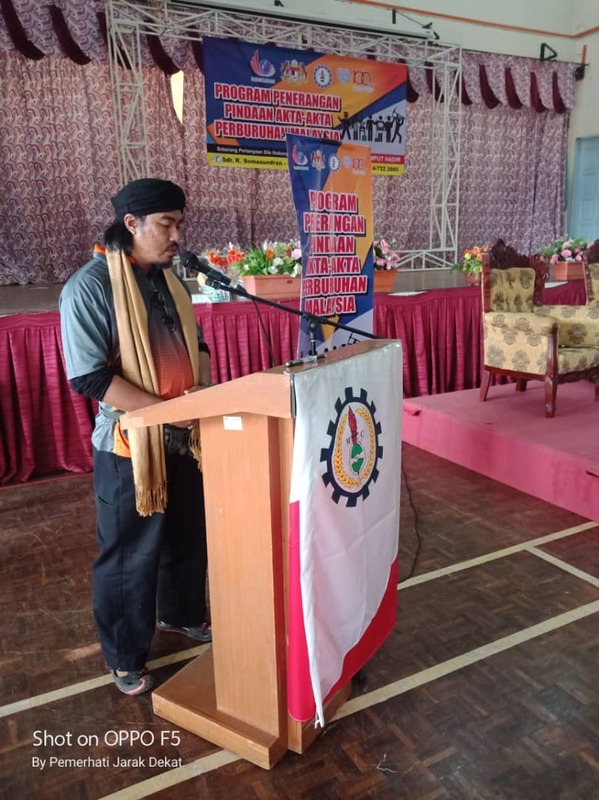 Creating awareness is the role of the leaders in continuing to increase membership through organizing as well as changes in the labour laws should be involved by all affiliates of MTUC. 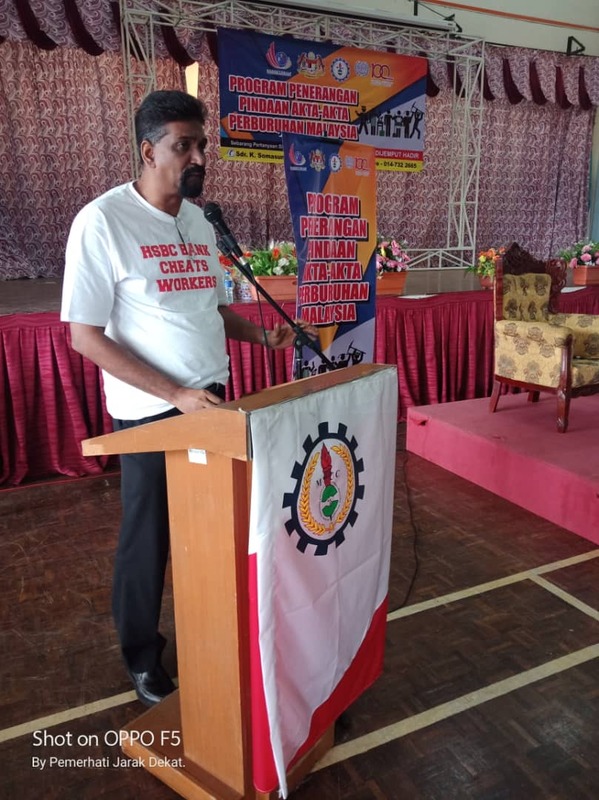 Bro Jey Kumar reminded that the MTUC has been established since 1949 but there are still many workers who do not actively participate in trade unions activites. 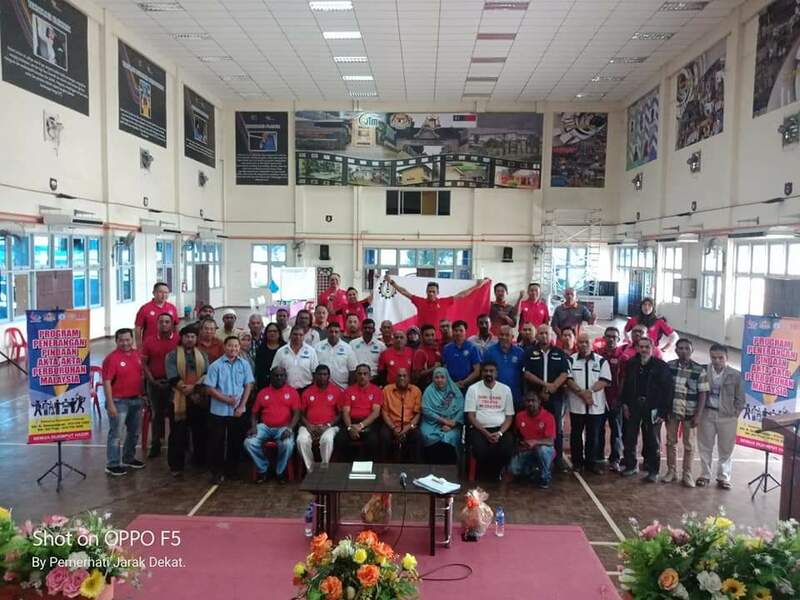 In Malaysia as of today, there are nearly 730 trade unions and less than 250 trade unions are affiliated with MTUC and only 6% is unionised. 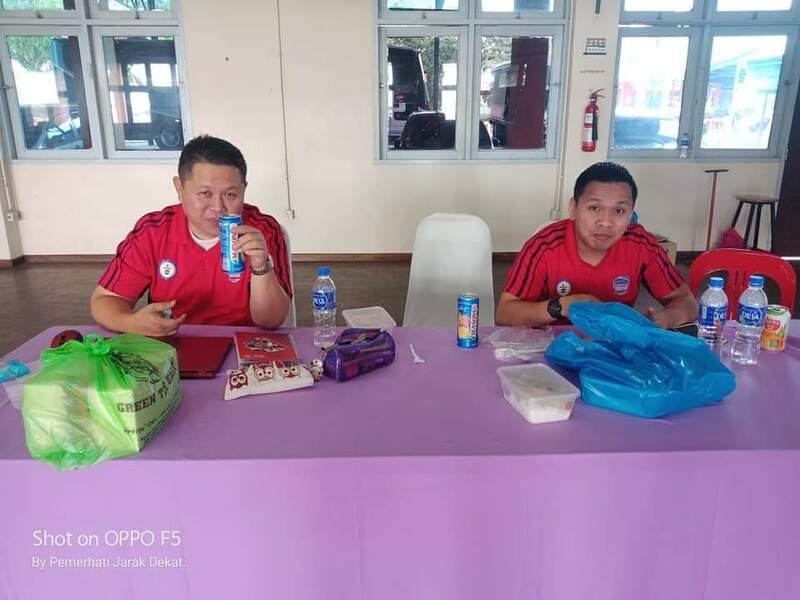 This is not good for workers and not healthy for the country. 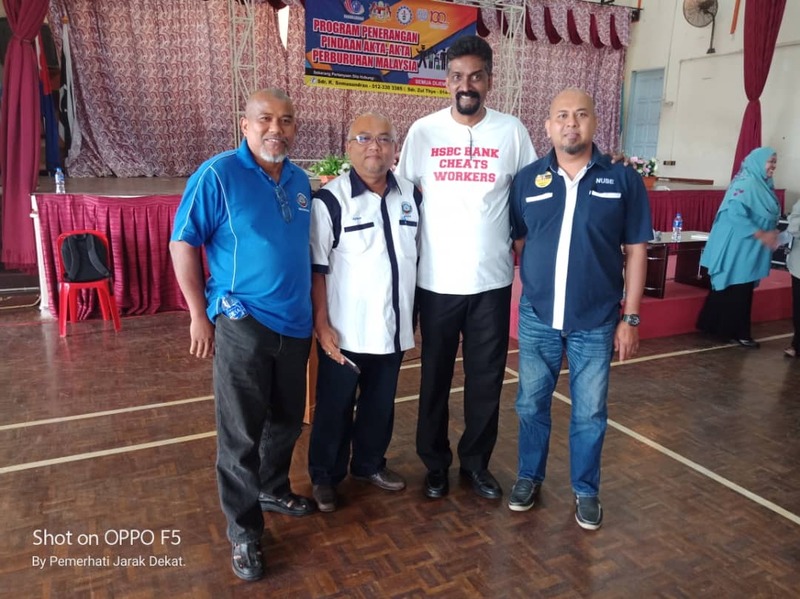 MTUC has played an important role in tripartite discussions with employers and Government representatives in the Government’s Technical Committee Meeting as well as in the NLAC meeting. 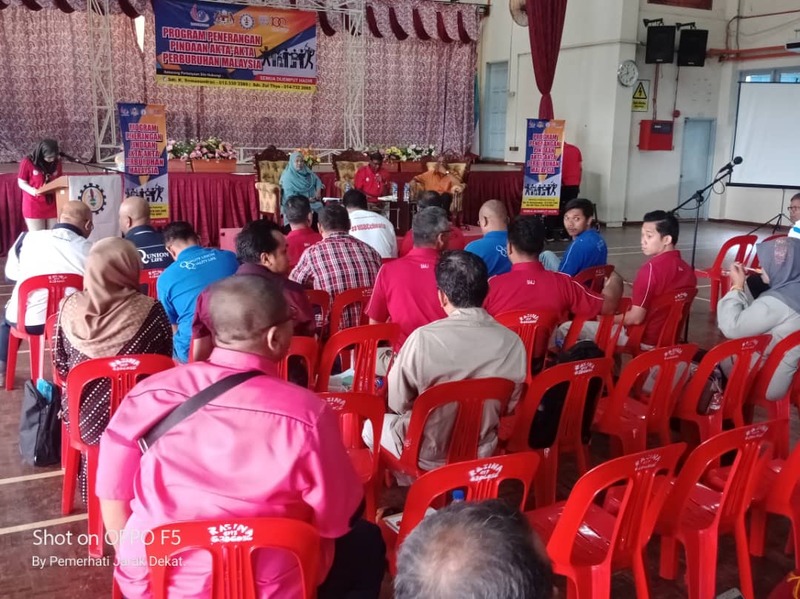 This is a situation that cannot be seen over the past 60 years and all union leaders have to take the opportunities available to equally contribute and give an opinion in the Amendment of the Labour Act through involvement in any of the meetings organized by the MTUC in this regard. 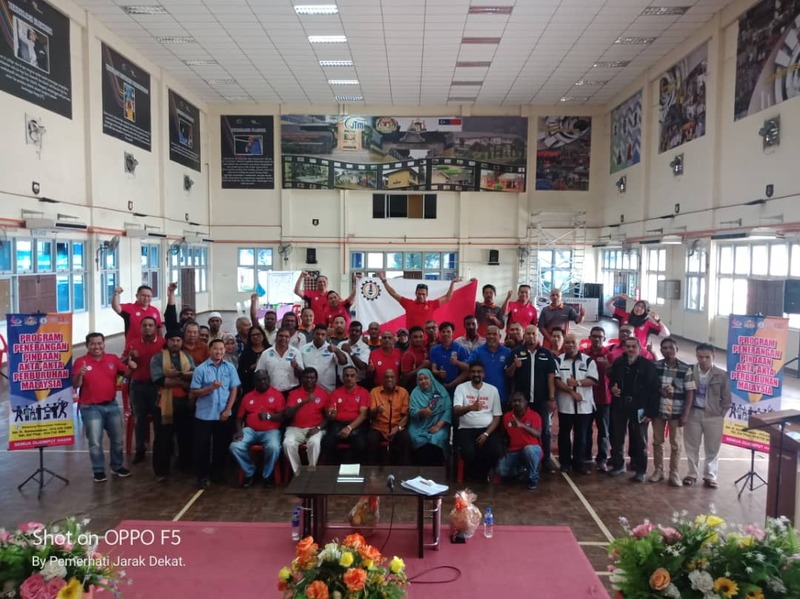 He also reminded all union members and leaders to unite and enhance cooperation and solidarity. This is very important in ensuring the the unions are on the right track. 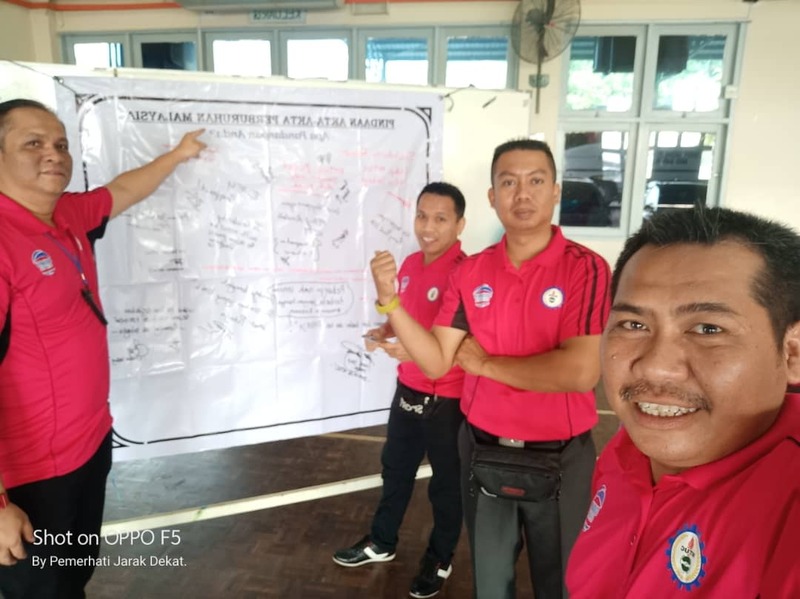 The participation of the affiliates union leaders are very important with MEF and the Government discussing changes in the Employment Act 1955, the Trade Unions Act 1959 & the Industrial Relations Act 1967. At the end of the presentation, he reminded all members and leaders of the unions present to be be present at Labour Day celebration on May 1, 2019 at Wisma MTUC building. 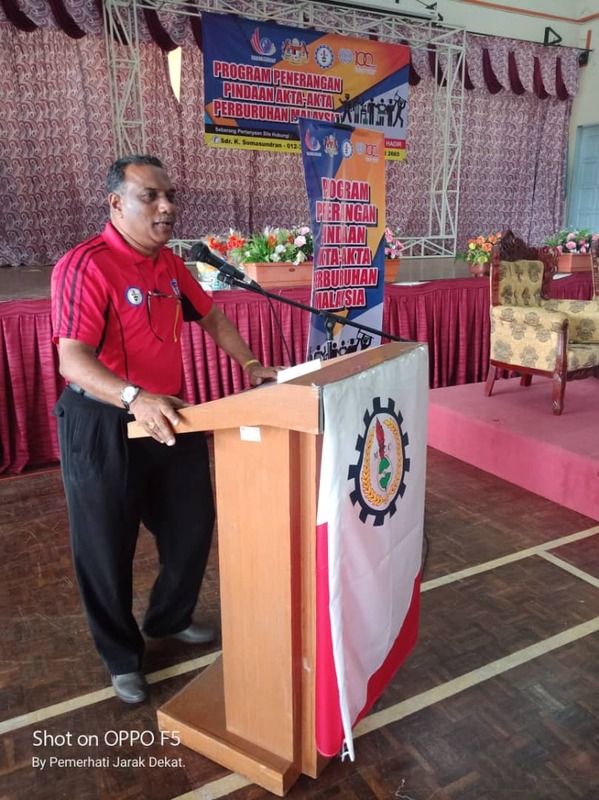 Bro J Solomon, MTUC’s Secretary-General in his speech welcomed all participants. 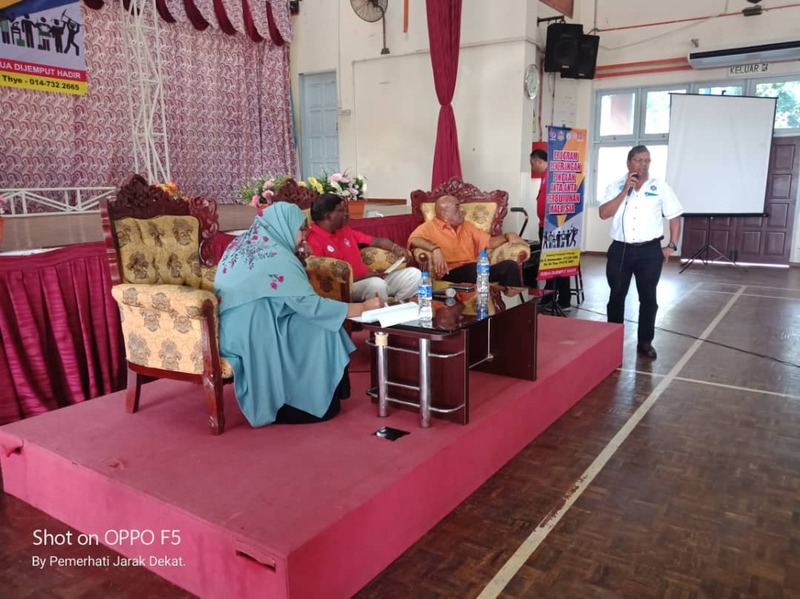 He explained the purpose of the program being undertaken by MTUC throughout the states in Peninsular Malaysia, Sarawak and Sabah. 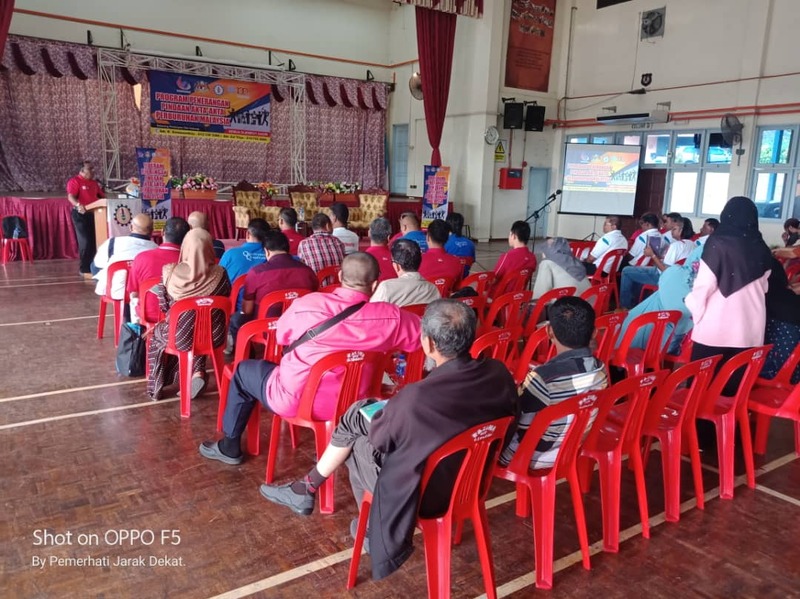 It is very important that the program is organized to ensure that all workers, union members and union leaders as well as the public know and understand the ongoing Labour Law Reform in Malaysia. 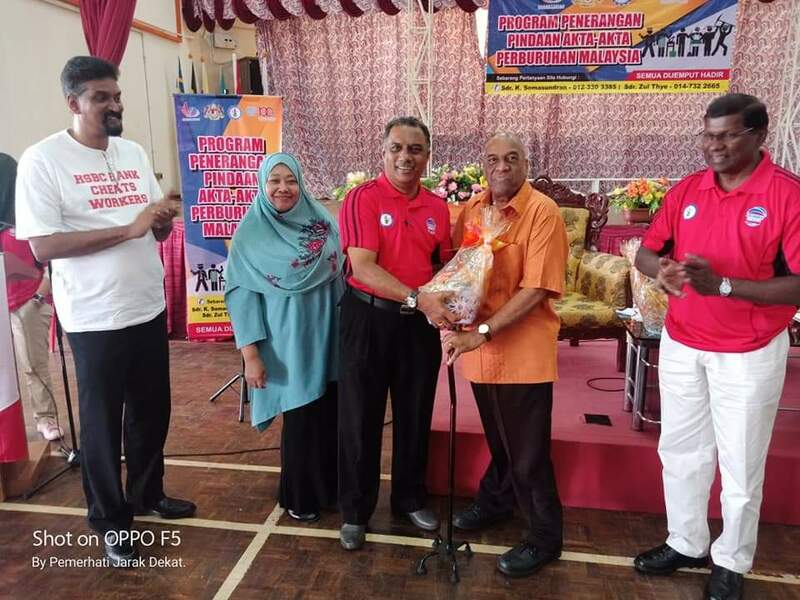 At the same time, we need to thank and appreciate the collaboration by the Human Resources Minister, YB Tuan Kulasegaran in his determination under the Ministry of Human Resources to Collaborate with the MTUC as well as the employer in this process. 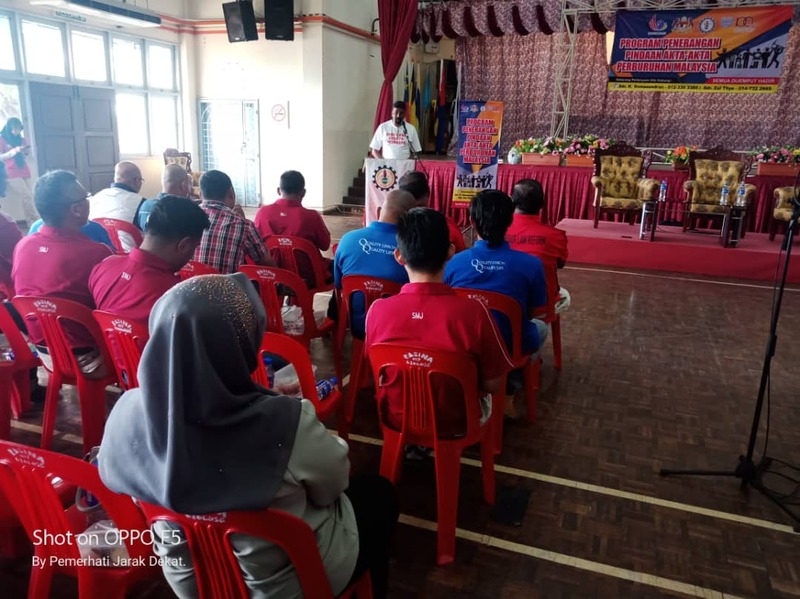 YB Tuan Kulasegaran was also in his recent meeting with all trades union members had reminded Unions to increase trade union membership in their respective unions and also organise the unorganised. 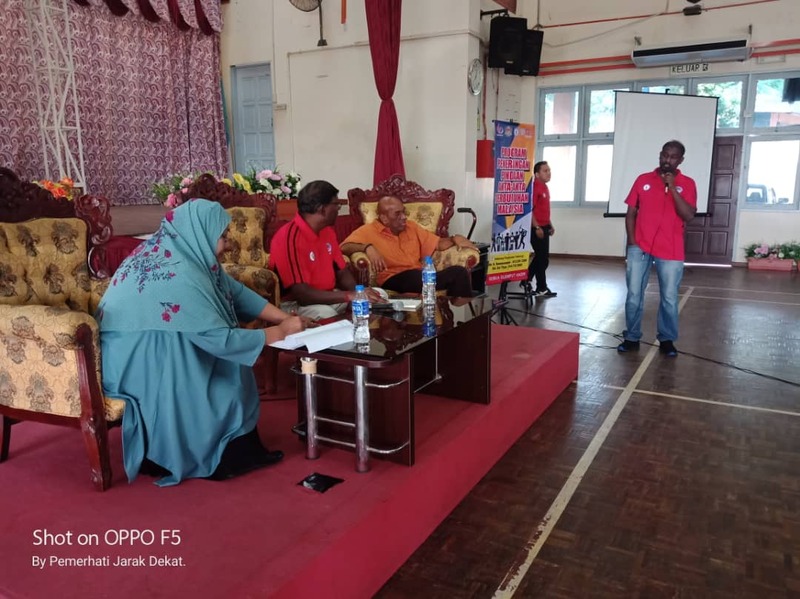 He hoped that at least one million more workers in Malaysia would be a member of the union which is currently only 6% of Malaysian workers from the 15 million union members which is regarded as a very low figure. 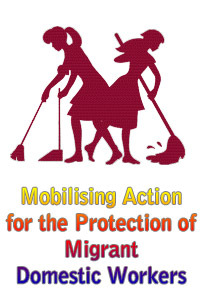 The ILO and ITUC has also informed that, there is no Minister of Labour in other countries are willing to work with the workers in ensuring trade union membership increases and encouraging workers to be organised in an unorganised environment. Accordingly Bro J Solomon urged unions to take this opportunity to organise the unorganised. 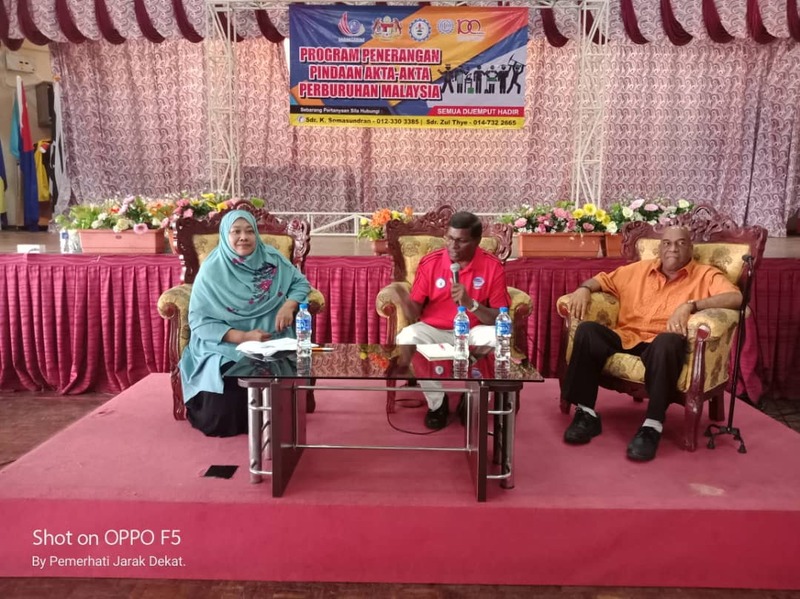 Otherwise there will be continuous exploitation as well as the suppression of workers income in Malaysia. 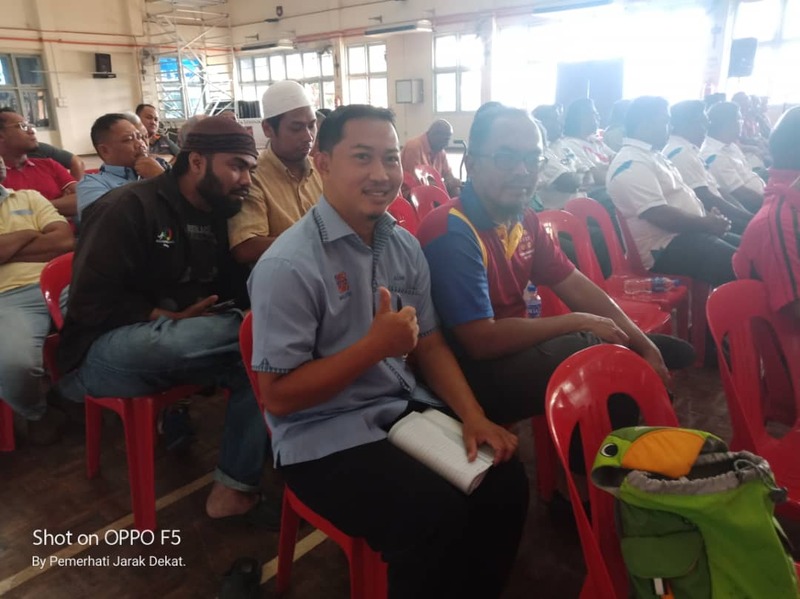 Worker’s voice is still too weak in Malaysia. 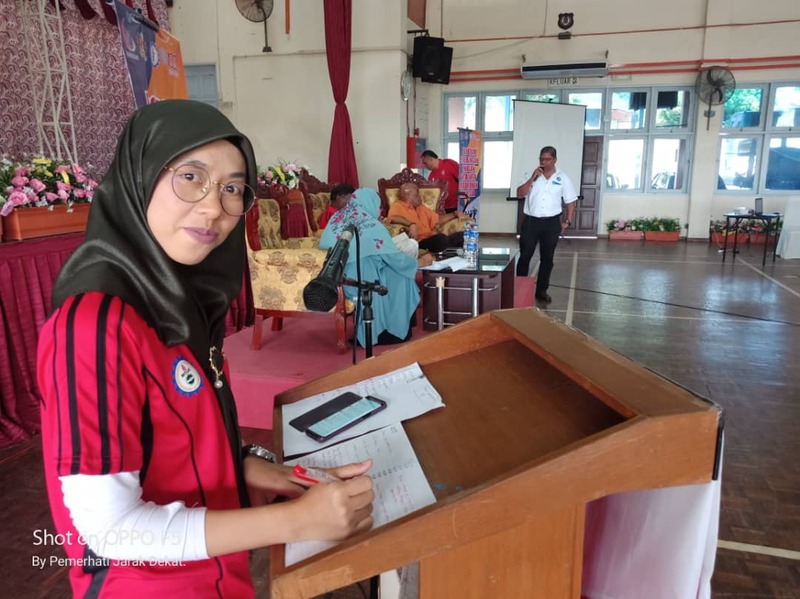 Recently, the Central Bank of Malaysia (BNM) has informed that the Government has to urgently make critical LLR so that Malaysian workers will earn a decent living salary and appropriate protection in the current employment. 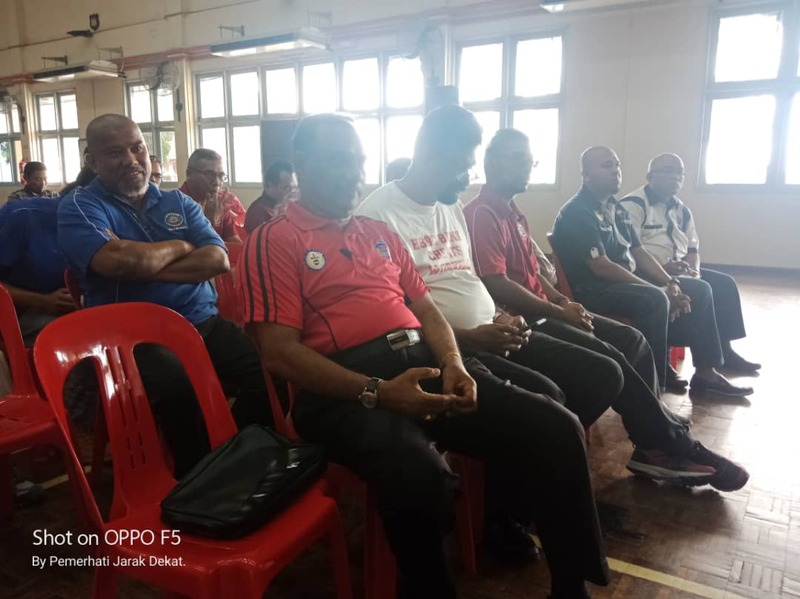 Bro J Solomon emphasized that the salaries of workers in Malaysia today are still behind productivity. This is causing hardship to B40 and M40 as many are living In borrowed income. 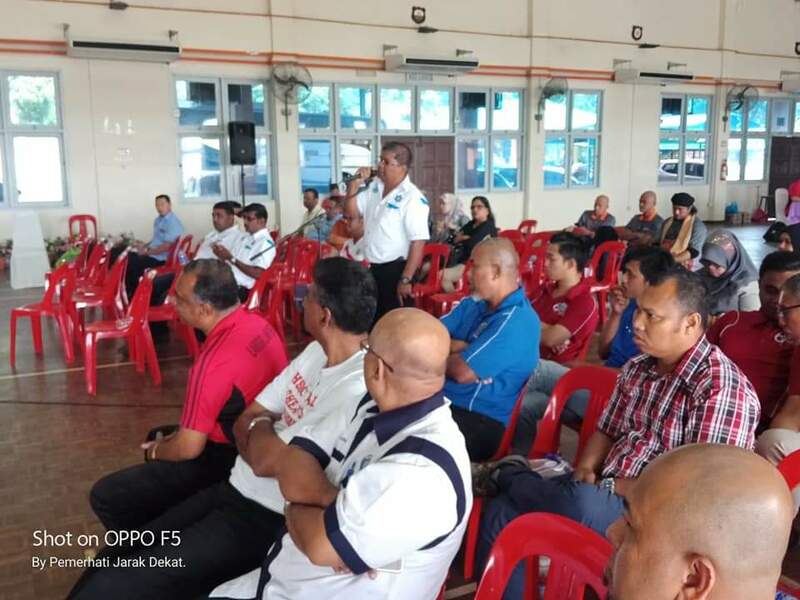 The matters relating to the cost of living compared to employee salaries have been reported by BNM basing on 2016 statistics. In 2016, BNM has reported in their 2017 report that a single employee who lives in Kuala Lumpur needs to get a salary of RM2700 per month. This statistic was not plucked from the tree but through survey made by BNM. 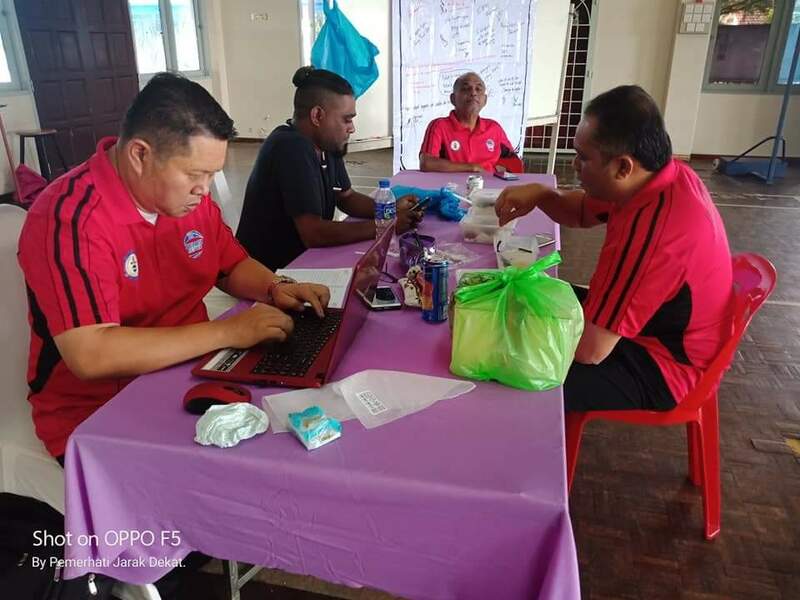 Similarly, the Employees Provident Fund (EPF) survey through the Belanjawanku which informed that the salary should be received by a worker who is single must be RM1870 per month. 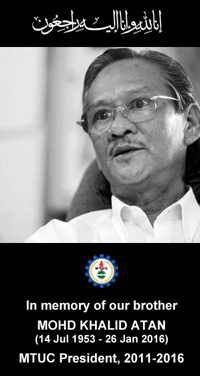 This clearly shows that the minimum wage is far inadequate to the workers. 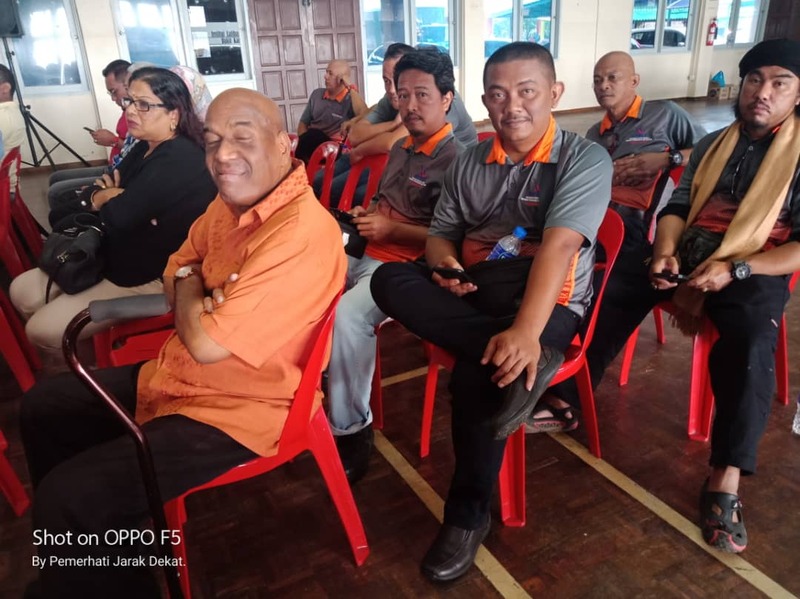 It now justifies MTUC demand of RM1800 which is consistent according to the BNM and EPF survey which had adequately explained the real situation of Malaysian workers’ salaries. 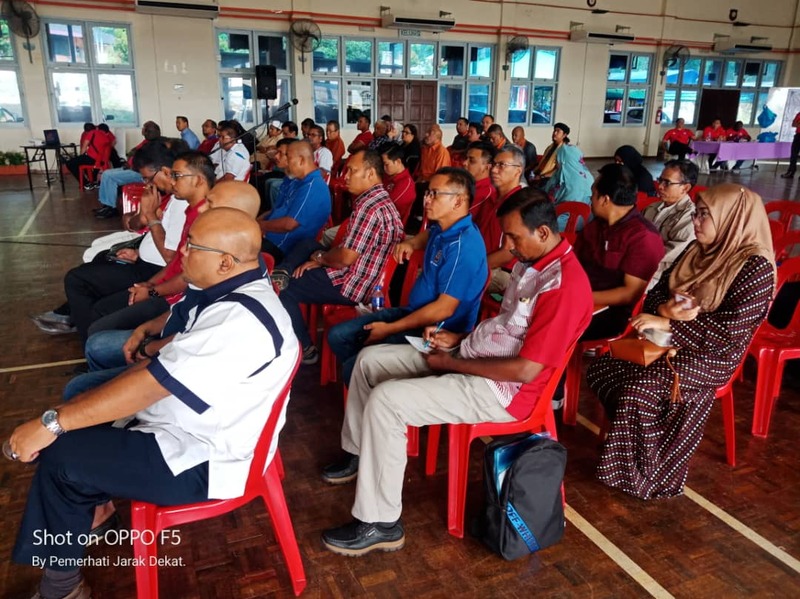 Bro J Solomon also reminded all attendees that the time has come to ensure that all of us take the opportunity to understand the process of amendments to the Labour Law reform and disseminate to all members and leaders of trade unions in Malaysia. The attitude and mindset must also change in parallel with the changes in the labour laws. 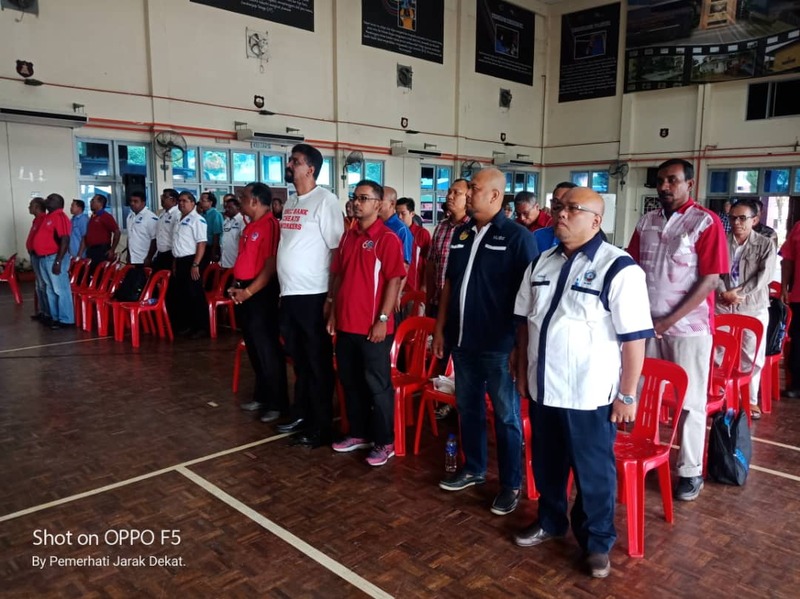 He also called on all members and leaders of the union to be present at the Labour Day celebration to be held at Wisma MTUC on May 1, 2019. 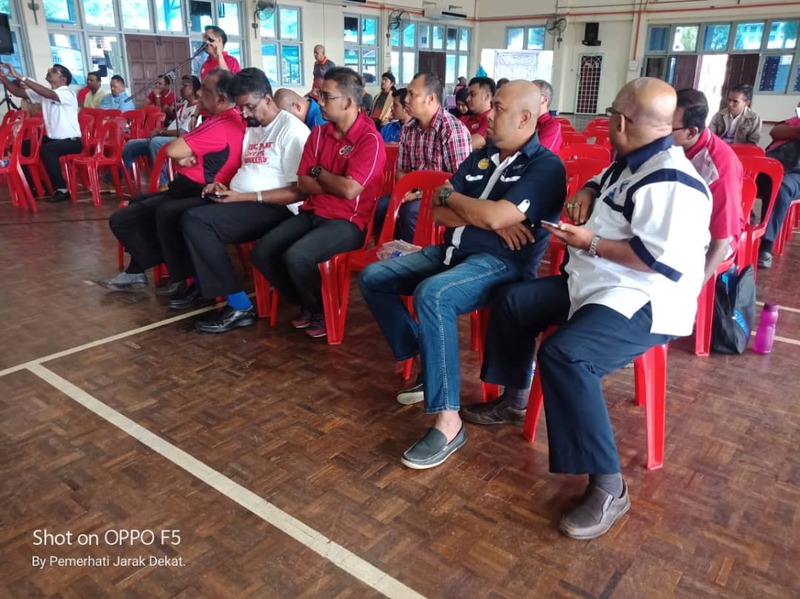 The number of members present at the May Day will further prove the strength of workers and the voice of workers will bring about the critical reform of LLR for better life to all workers in Malaysia. 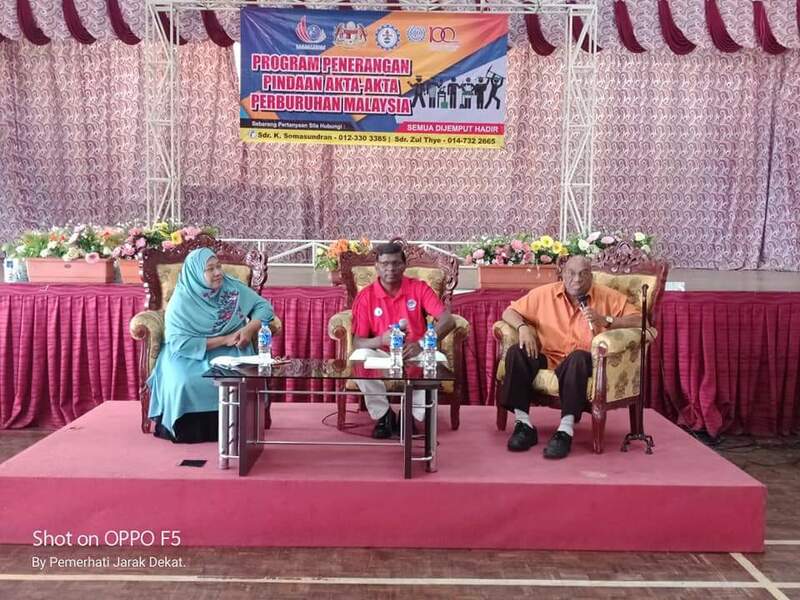 The program continued with the panel discussion and the moderator for the discussion is Bro K Soma, 1st panellist is Puan Meriam Binti Mohd Noor (Policy Division) of the Ministry of Human Resource and the 2nd panellist is Bro Siva representing the workers panel.